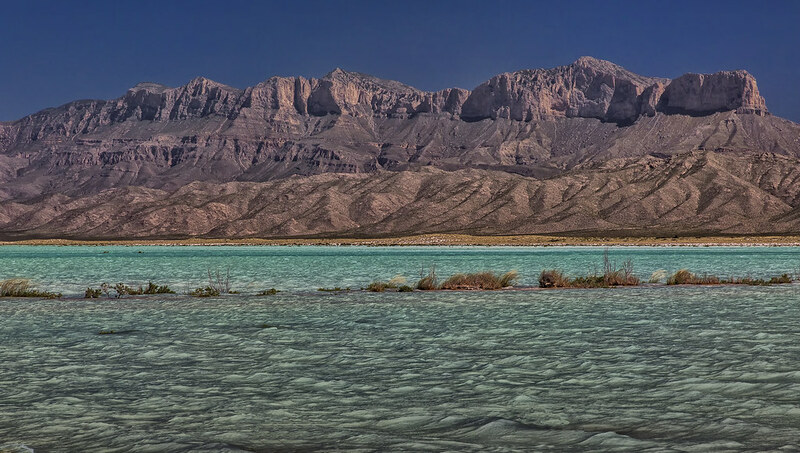 Rising from the Chihuahuan Desert 55 miles (89 Km) south of Carlsbad is the Guadalupe Mountains National Park. Viewers will be in awe with the incredible vistas, flourishing vegetation, and countless species of wildlife that thrive in the park. 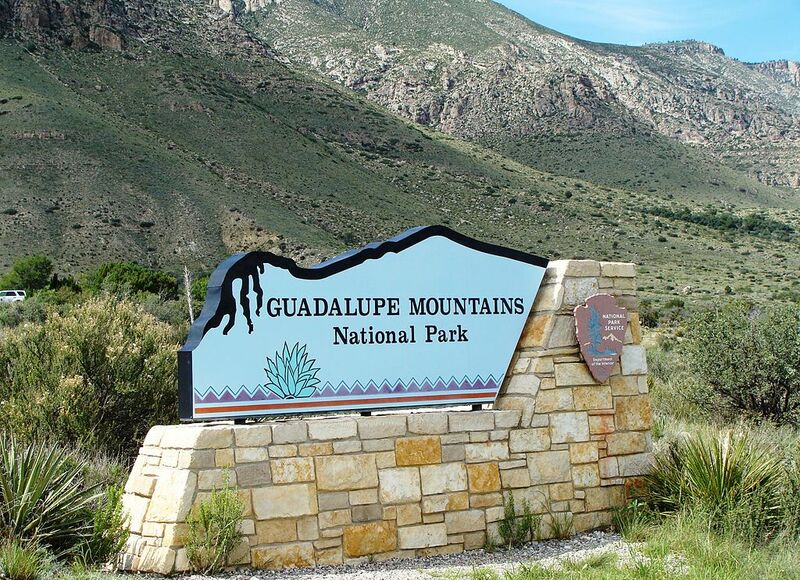 Guadalupe Mountains National Park is open year-round and offers a variety of outdoor activities including backpacking, camping, and hiking. 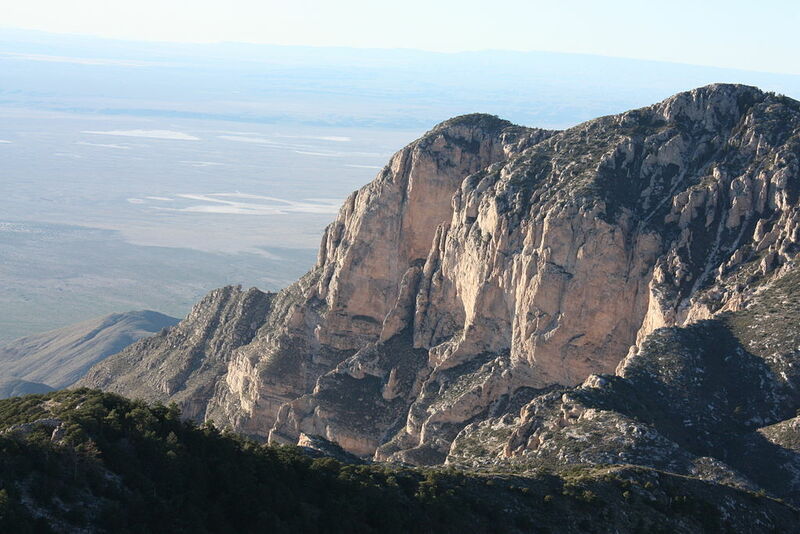 Guadalupe Mountains National Park is the world’s premier example of a fossil reef from the Permian Era. The park is known for its extensive hiking and backpacking opportunities in one of the nation’s most pristine wilderness areas. 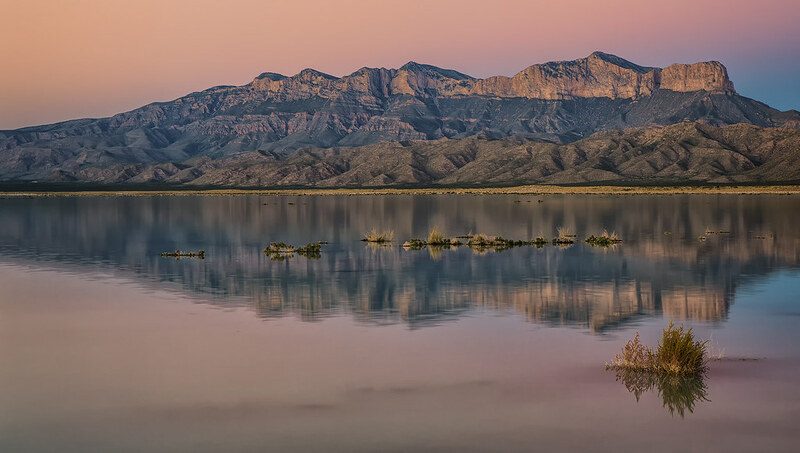 Birding, history, and many other opportunities to learn and have fun await visitors in this hidden gem of West Texas. Established on September 30, 1972, the 86,416 acre (350 Sq. 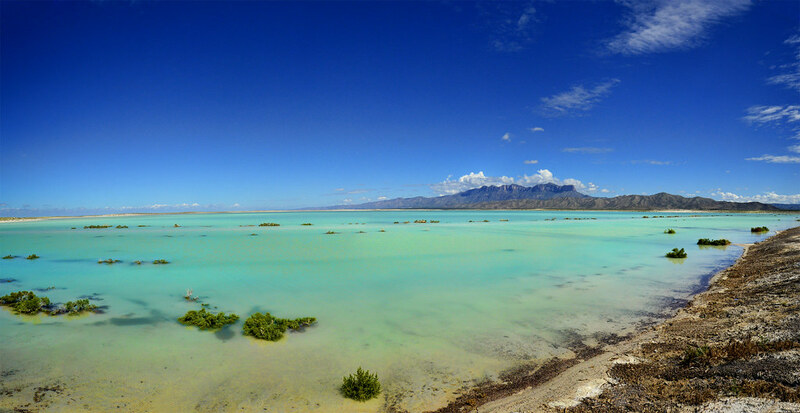 Km) park preserves a 260 million year old fossilized reef, and boasts the second largest gypsum dune field in the United States (third largest in the world), part of the 2,000 acre Salt Basin Dunes on the western flank of the park, which was involved in the El Paso Salt War in the late 1800s. 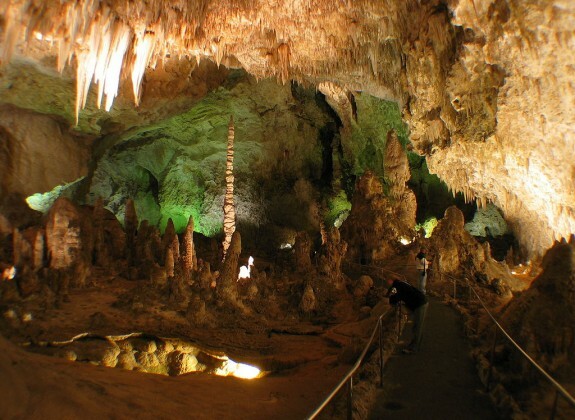 The world-class geology of this national park draws visitors, researchers and scholars from around the globe. The 46,850 acre (190 Sq. 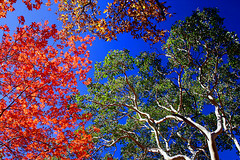 Km) wilderness area is the largest federally-designated wilderness area in the state of Texas. 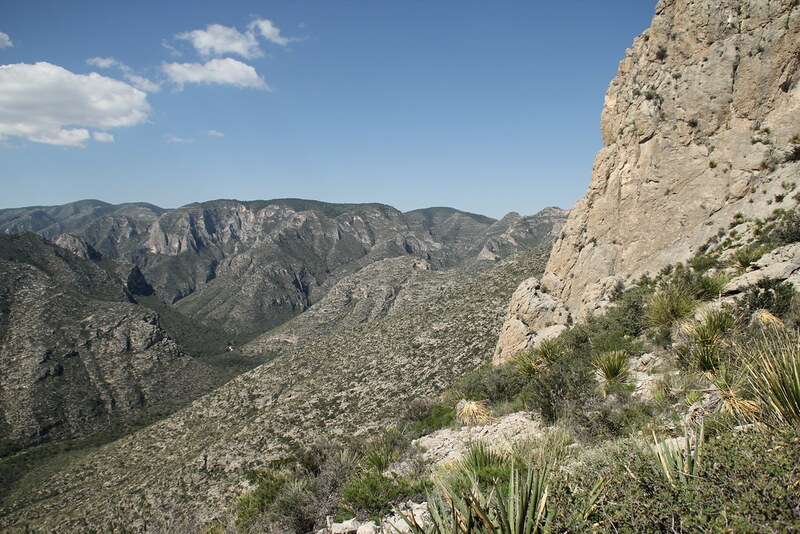 Although the lower elevations are dominated by Chihuahuan desert, those who venture into the high country are treated to mixed coniferous and oak woodland forests. 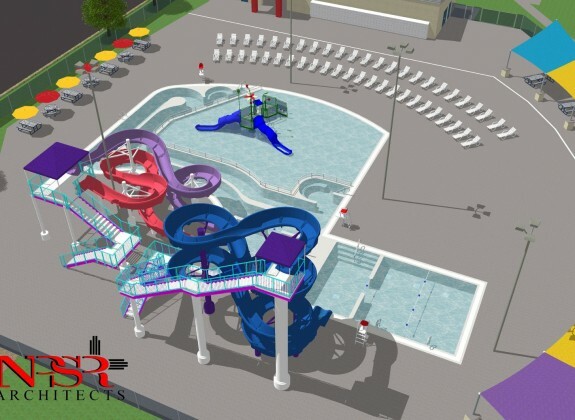 The entrance fee is $5.00 per person for adults 16 years of age and older. This fee is good for 7 days. Fee envelopes are available at all trailheads or at the Pine Springs Visitor Center. Fees may be paid by credit card at the visitor center. Fill out the appropriate information on the front of the green fee envelope, place cash or credit card receipt in the envelope, seal, and remove the detachable stub. Deposit the fee envelope at any trailhead collection safe, and display the detachable stub on the vehicle dashboard. Please Note: Senior, Access, Park, National Park, Golden Age and Golden Access Passes cover entrance fees, however, please fill out an envelope and write the pass type and number in the space provided. These envelopes are located at the Pine Springs Visitor Center and McKittrick Canyon, as well as at all the trailheads. Fee Waivers – Entrance fee waivers are available to groups when the purpose of their visit is educational rather than recreational. Camping Fees – When you arrive, select a campsite, then pay at the self-registration board near the restrooms, or fees may be paid by credit card at the Headquarters Visitor Center. All sites are on a first come, first served basis. 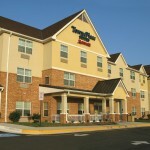 The fee is $8.00 per night per site, $4.00 for Golden Age/Senior and Golden Access/Access Passport holders. There is no discount for Golden Eagle or National Parks and Federal Recreational Lands Annual Pass holders. 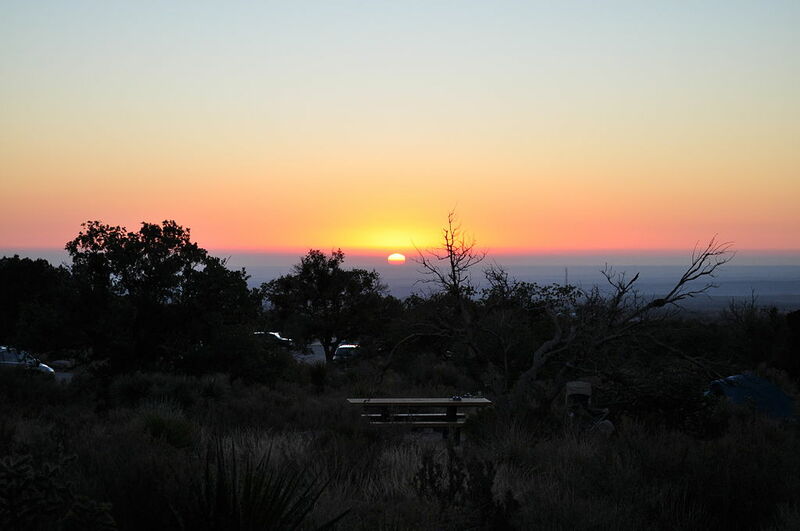 Camping for Groups – There are two group campsites available at Pine Springs, and one at Dog Canyon for organized groups with a minimum of 10 and a maximum of 20 people per site. The fee is $3.00 per person. The fee for Golden Age/Senior and Golden Access/Access Pass holders is $1.50 per person. Group campsites are available by reservation up to 60 days in advance. Call (915) 828-3251 ext:2124, between 8:00 AM and 4:30 PM daily, Mountain Standard Time. Due to the small size of park campgrounds, group campsite users may not overflow into family campsites. Backcountry Camping Permits – These permits are available free of charge at the Pine Springs Visitor Center. To obtain a backcountry permit please allow 10 to 15 minutes to complete the process. Due to the time involved, please be ready to begin the process at the visitor’s center no later than 4:15 pm. Please be sure to have your driver’s license ready, your itinerary, and your vehicle’s license plate number. Please note that staying in a backcountry camp site for more than three consecutive nights or having camp fires is prohibited. There is water at the trailhead of Pine Springs, McKittrick Canyon, and Dog Canyon. There are no water stations along the trails and all park water sources are protected and must not be disturbed. Please plan to pack in all water needed for your hike. 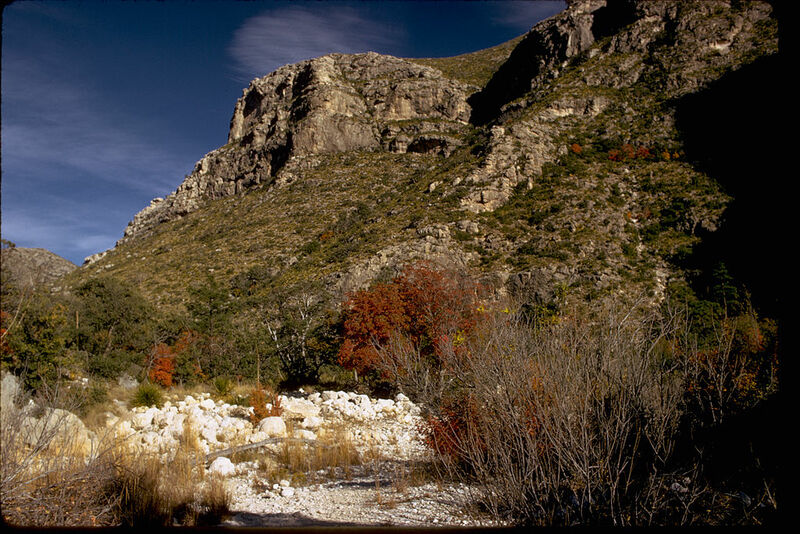 Guadalupe Mountains National Park is open year-round. While most trails and both of the park’s campgrounds are available for use anytime, park facilities have posted hours, and several park locations are designated as day-use only. Pine Springs Visitor Center – Open daily except Christmas Day, hours are 8:00 AM to 4:30 PM Mountain Time. Frijole Ranch – Visitors are welcome to drive to the ranch site year-round, walk the grounds, see the spring house and one-room school, or enjoy a picnic under large shade trees. A small museum is located in the old ranch house, and is staffed intermittently with hours generally from 8:00 AM to 4:30 PM. 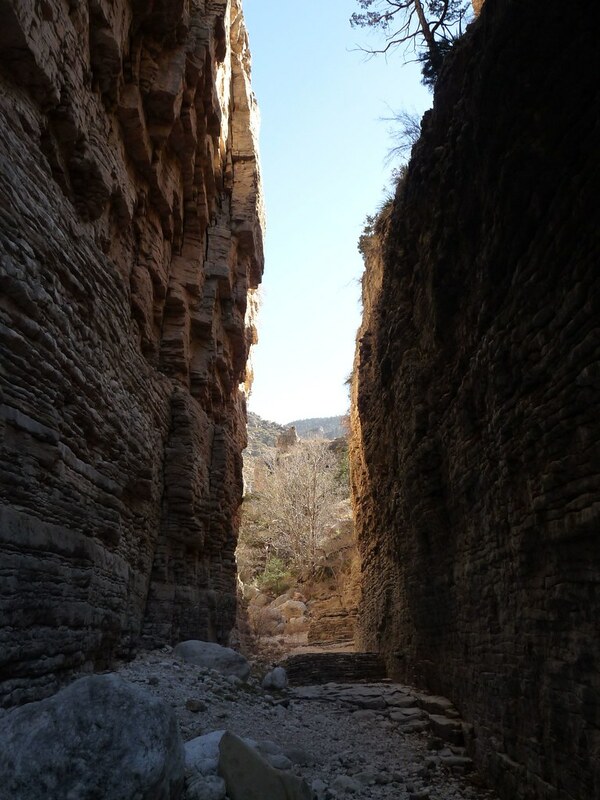 McKittrick Canyon (Day-use) – Entrance gate is open from 8:00 AM to 4:30 PM (MST) and open until 6:00 PM during daylight savings time (MDT). A small contact station is located in McKittrick Canyon at the trailhead, and is staffed intermittently. Dog Canyon – Open year-round. 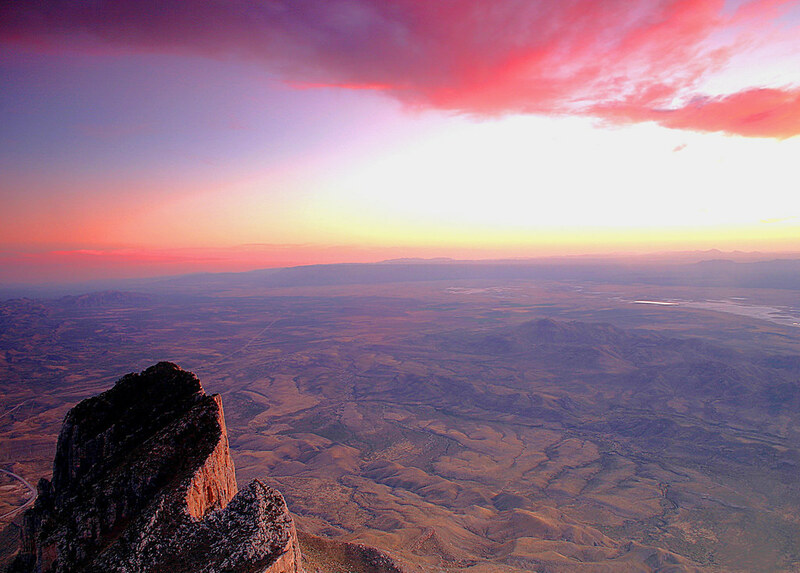 Dog Canyon has a small ranger station where visitors may obtain backcountry permits or information about the area. The ranger station is staffed intermittently, however a park ranger lives on premises. Williams Ranch (Day-use) – Visitors may access the 4X4 road to Williams Ranch by checking out a key at the Pine Springs Visitor Center during normal business hours. Only high ground clearance 4X4 vehicles are allowed. Williams Ranch is designated day-use only; no overnight parking or camping is permitted. Gate keys must be returned to the Pine Springs Visitor Center the same day. 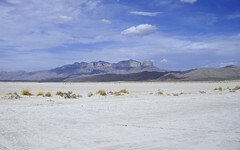 Salt Basin Dunes (Day-use) – No overnight parking or camping is allowed. Facilities at the trailhead include accessible parking, RV/bus parking, picnic tables underneath shade structures, and pit toilets. Note: there is no water available at the trailhead. Water, food, and gasoline is available in nearby Dell City. 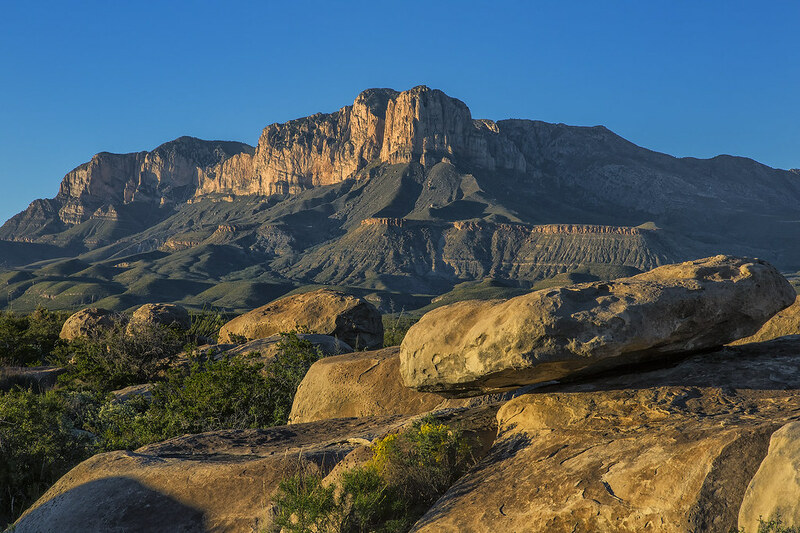 Guadalupe Peak Trail – On a clear day, the view from the “Top of Texas” is outstanding. The trail is very steep, but is well established. Some areas are exposed to cliff edges. It is rated strenuous, with 3,000 feet (914 m) of elevation gain. The round trip distance is 8.4 miles (13.5 Km) and generally takes 6-8 hours. Avoid the peak hike during high winds and thunderstorms. Devil’s Hall Trail – Hike the stream bed of Pine Springs Canyon, and then climb the natural rock of the Hiker’s Staircase, to the finale – the Devil’s Hall. This rocky trail has very little elevation gain and leads you through maples, ponderosa pine, and many plant varieties of the Chihuahuan desert. The trail is rated moderate; though it is only 4.2 (6.8 Km) miles round trip, allow 3-4 hours to enjoy this hike. The Bowl – A beautiful coniferous forest of pine and Douglas fir covers the high ridges and canyons, and awaits those who are willing to hike up 2,500 feet (762 m) from the Chihuahuan desert below. The remnants of wildland fire are still evident along sections of the trails. 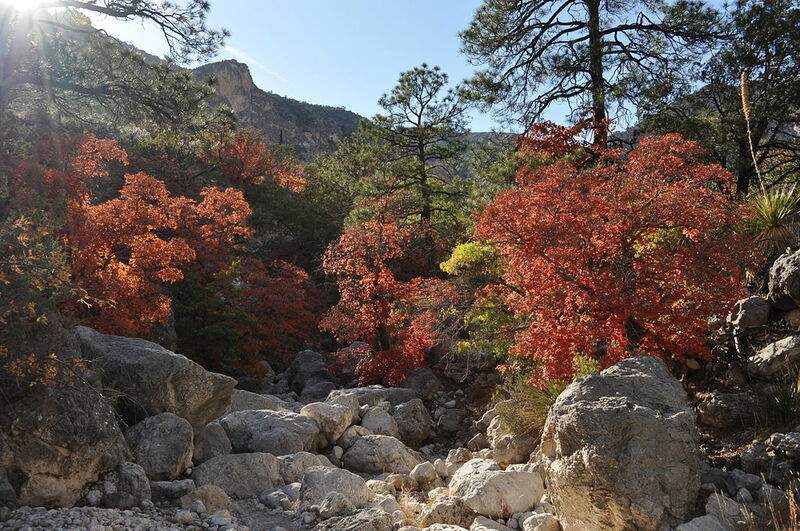 From Pine Spring campground, follow the Tejas Trail and/or Bear Canyon Trail to the top. If using the Tejas Trail, venture east to Hunter Peak and descend down the Bear Canyon Trail. If ascending on the Bear Canyon Trail, travel west through the bowl and down via the Tejas Trail. This hike is rated strenuous. Allow 8-10 hours; round trip is 9.1 miles (14.7 Km). El Capitan/Salt Basin Overlook Trails – The trail leads through Chihuahuan desert to the base of El Capitan at the southern end of the Guadalupe mountain range. Follow the El Capitan Trail and the Salt Basin Overlook Trail. Return to Pine Spring campground via the El Capitan Trail. Beyond Salt Basin Overlook, the trail continues to the historic Williams Ranch site, and additional 4.7 miles (7.6 Km) one-way. 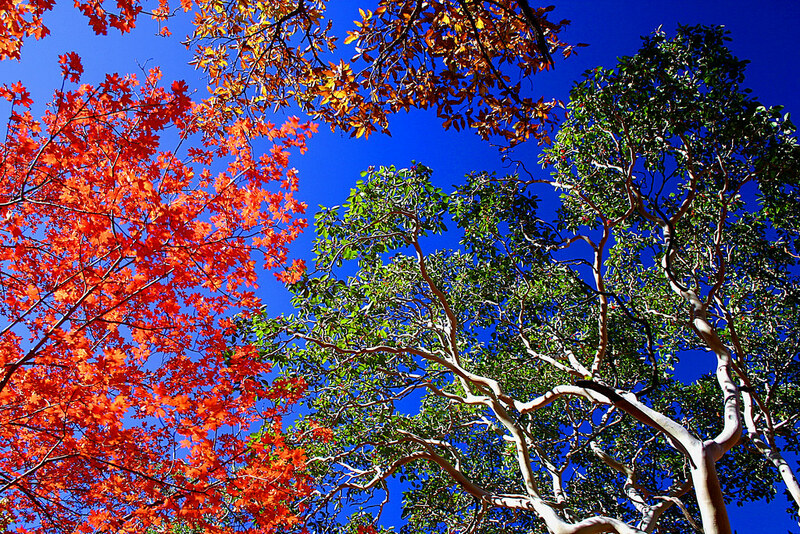 This hike is rated moderate; it is 11.3 miles ( 18.2 Km) round trip. Allow 6-8 hours. 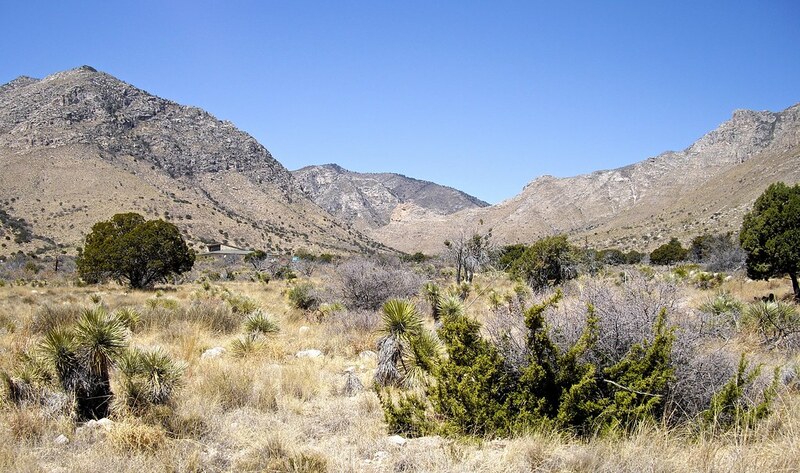 Frijole/Foothills Trails – The Frijole and Foothills trails make a connecting loop between the Pine Springs campground and Frijole Ranch. Start at either end. 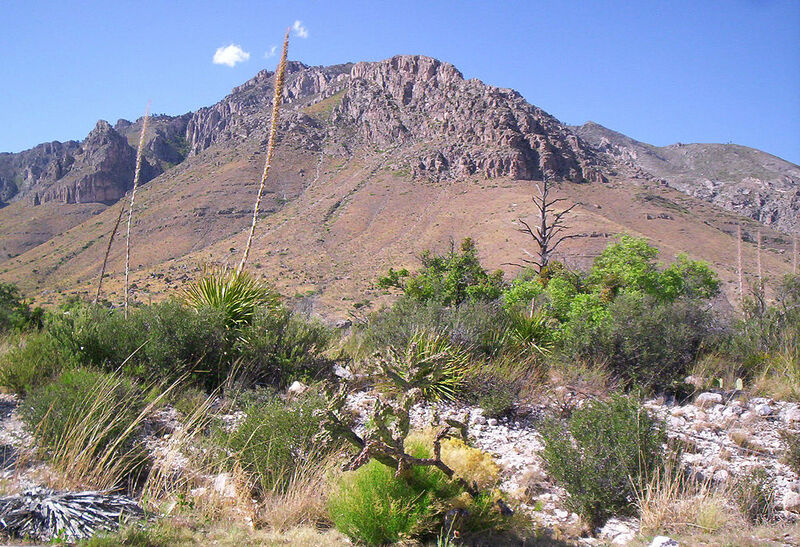 Observe Chihuahuan desert vegetation and incredible panoramas. Not frequently traveled, this trail offers an enjoyable walk of solitude. McKittrick Canyon Trail – Follow an intermittent stream through the desert, transition, and canyon woodlands to the historic Pratt Lodge, Grotto picnic area, and Hunter Line Cabin. A guide book is available at the McKittrick Canyon Contact Station or the Headquarters Visitor Center. Rates moderate, the 4.8 miles (7.7 Km) round-trip to Pratt Lodge takes two hours; allow 3-5 hours round-trip to hike to the Grotto and Hunter Line Cabin. 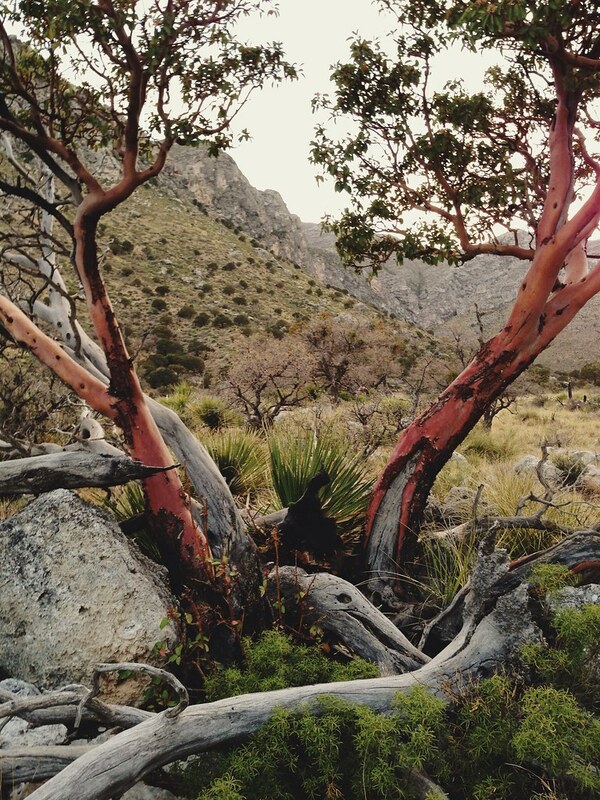 McKittrick Canyon Nature Trail – An intermittent seep lies hidden within junipers, shrubs, and grasses that cling to this tiny ecosystem. Trailside exhibits describe common plants, reference wildland fire, and explain Permian Reef geology. The trail is .9 miles (1.5 Km) round trip, is rated moderate, but takes less than one hour to complete. Permian Reef Trail – For serious geology buffs, this trail has stop markers that can be used with a comprehensive geology guide, available at the park’s Headquarters Visitor Center. 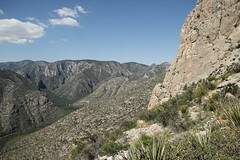 There are excellent views into McKittrick Canyon from the top of Wilderness Ridge. The trail is 8.4 miles (13.5 Km) round-trip, rated strenuous with 2,000 feet (610 m) of elevation gain. The Pinery Trail – Travel the short .75 mile (1.2 Km) path to the ruins of the old Pinery Station, once the highest stop on the original 2,800 mile (4,506 Km) Butterfield Overland Mail Route, which connected St. Louis and Memphis to San Francisco from until. The limestone walls of the station are fragile, so please do not climb on them. 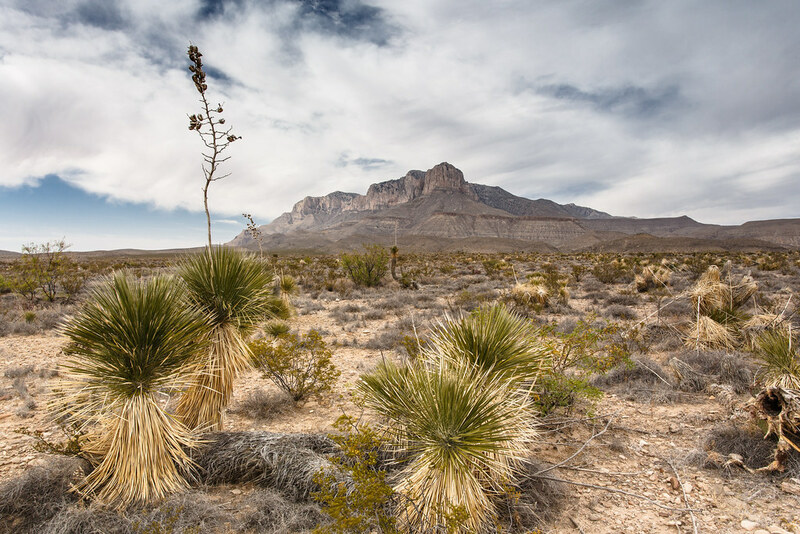 Trailside exhibits describe Chihuahuan desert vegetation. The trail is paved, rated easy, and wheelchair accessible. Pets are allowed on leash. Smith Spring Trail – Begin this hike at the trailhead sign. 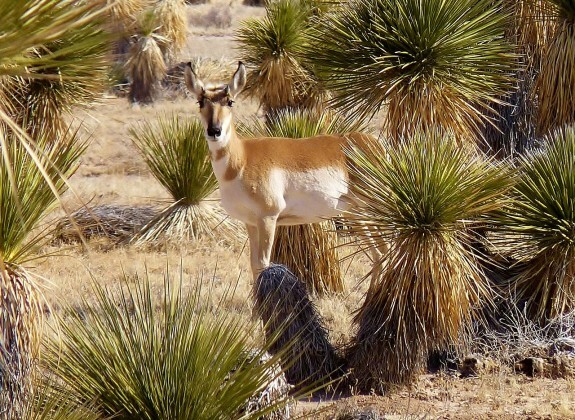 Look for birds, mule deer, and occasionally elk as you walk this loop trail to the shady oasis of Smith Spring. Take a break here and enjoy the gurgling sounds of the tiny waterfall before continuing around to sunny Manzanita Spring. Scars from wildland fires for 1990 and 1993 are evident along the trail. The trail is rated moderate, with a round-trip distance of 2.3 miles (3.7 Km). Allow one to two hours. Manzanita Spring – Begin this hike by turning right behind the ranch house at Frijole Ranch and follow the short, paved trail to Manzanita Spring (.2 mile/.3 Km). Return to Frijole Ranch on the same route. The trail is wheelchair accessible. 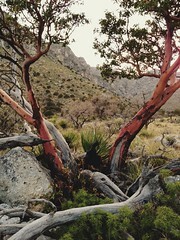 Manzanita Spring is an excellent desert watering hole for park wildlife and a great birding location. Frijole/Foothills Trails – The Frijole and Foothills trails make a connecting loop between the Pine Springs campground and Frijole Ranch. Start at either end. Observe Chihuahuan desert vegetation and nice distant vistas. Not frequently traveled, this trail offers an enjoyable walk of solitude. Dog Canyon – On the northern boundary of the park, at 6,300 feet (1,920 m) is higher and cooler than the Pine Springs area. 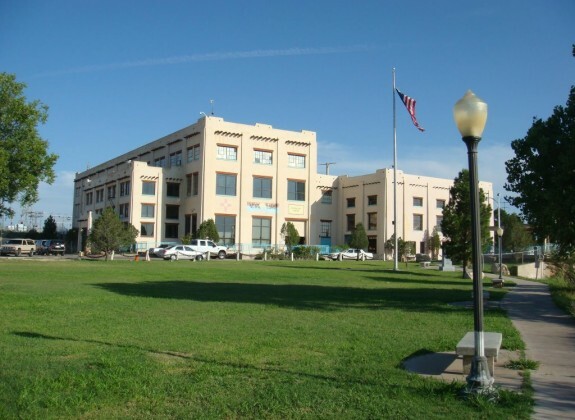 To get there, go north from Carlsbad on U.S. Highway 285 to FM Road 173. Turn left onto FM Road 173, which wends through the Lincoln National Forest and ends at Dog Canyon. Indian Meadow Nature Trail – A free trail guide offers information and insights on the natural and cultural history of the meadow and the surrounding area. The trail is .6 mile (1 Km); at a leisure pace it takes 30-45 minutes. The trail is rated easy as it remains almost level after crossing an arroyo. 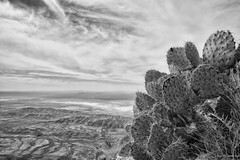 Marcus Overlook – Follow the Bush Mountain Trail to Manzanita Ridge. Once on top, the trail abruptly levels off for a short distance. Stop at the point where the trail drops steeply and enjoy the view down West Dog Canyon. Turn back here and return to Dog Canyon along the same route. The trail is rated moderate and the distance is 4.5 miles (7.2 Km). Lost Peak – Follow the Tejas Trail through open meadow and into the canyon bottom that is lined on either side by alligator juniper, ponderosa pine, chinkapin oak, and big tooth maple. Shortly ahead you will begin climbing up toward Lost Peak, gaining 1,540 feet (469 m) in elevation. At the summit, the trail levels out, and soon reaches a junction with the McKittrick Ridge Trail. The distance to Lost Peak and return is 6.4 miles (10.3 Km). It is rated moderate to strenuous and takes 5-6 hours. Opportunities abound for birding, wildlife watching, nature photography, painting and drawing, and spectacular night skies make for excellent stargazing and astronomy. 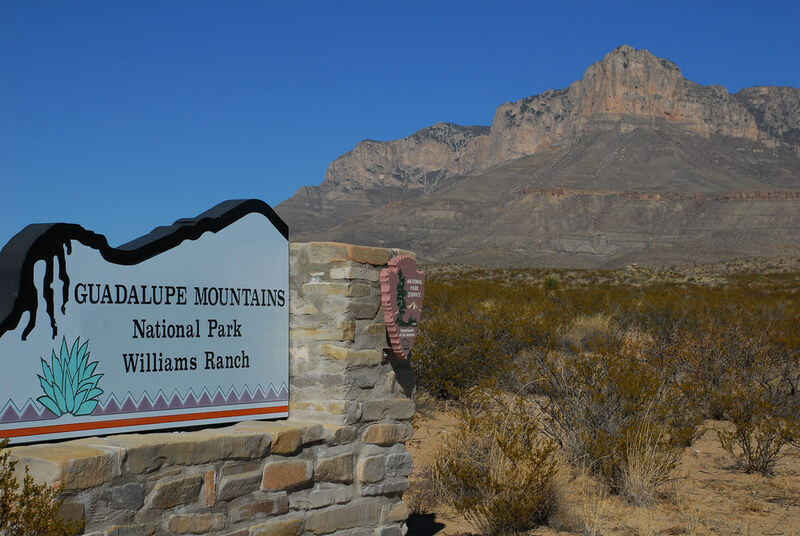 Learn about the Apache Indians, who once called the Guadalupe Mountains their home and still hold them sacred, Spanish exploration of the Guadalupe Mountains in the late 1600s, the famed Buffalo Soldiers, who once patrolled the canyons and maintained a supply depot at Pine Springs, the Butterfield Overland Mail of the mid 1800s, and the ranches which dotted the landscape from the 1880s until the park was created in 1972, at the Frijole Ranch Cultural History Museum. The museum is staffed intermittently, so call ahead to make sure it will be open. The park is a hiker’s paradise with more than 80 miles (129 Km) of trails, 60% of which are open to horseback riding, although there are no rentals in or near the park, so you will have to bring your own. Make sure to take plenty of water (at least one gallon per person per day is recommended, more when it is hot), sun block and food with you, as you will not find any once you leave the trailheads. Trekking poles are also recommended for stability and support, particularly when coming back down the mountains. Bring a friend or family member along to share the adventure with and use the buddy system, Hikers should check in at the Pine Springs Visitor Center or let someone know where they are hiking and when they expect to return. However, make sure you check in again when you leave the trail. Please remember to pack out your trash. The park is a great place to get some exercise and recharge your batteries in the great outdoors. Park rangers offer a variety of free interpretive and educational talks, guided hikes and living history programs throughout the year. Contact the Pine Canyon Visitor Center or visit the park website, Facebook page or meetup page listed at the end of this article for the schedule of upcoming programs. The convergence of desert, coniferous forest, gypsum sand dunes and riparian habitat, along creeks and around springs, supports a myriad of plants and animals, including 900 plant species (including many species of cacti, yucca, agave, Texas madrone, alligator juniper, oaks, maples, Douglas fir, ponderosa pines and the Guadalupe Mountains violet, which exists nowhere else), 310 bird species (including spotted owls, warblers, towhees, sparrows, golden eagles, turkey vultures and peregrine falcons), 60 mammal species (including black bear, mountain lion, bobcat, kit fox, gray fox, coyote, badger, ringtail, raccoon, mule deer, elk, striped skunk, hog-nosed skunk, black-tailed jackrabbit, rock squirrels, javelin, a variety of rodents and 16 bat species), 55 reptile and amphibian species (a variety of lizards and snakes, including 5 rattlesnake species and 9 amphibian species, including the Rio Grande leopard frog and Couch’s spadefoot toad) and several invertebrate species (including desert centipedes, millipedes, scorpions and tarantulas). A 12-minute slide presentation is shown, upon request, in the auditorium. Ask the park ranger at the information desk to start it. At the Pine Springs Visitor Center, ask about the parks free Junior Ranger, Junior Paleontologist, Wilderness Explorer Junior Ranger and Senior Ranger programs for young people of all ages. Those who complete the activity booklets earn a certificate and badge or patch, depending on the program. These programs are excellent ways for families to keep children occupied while learning about the park. Girl Scouts and Boy Scouts may obtain special Girl Scout Ranger and Boy Scout Ranger awards at the visitor center. 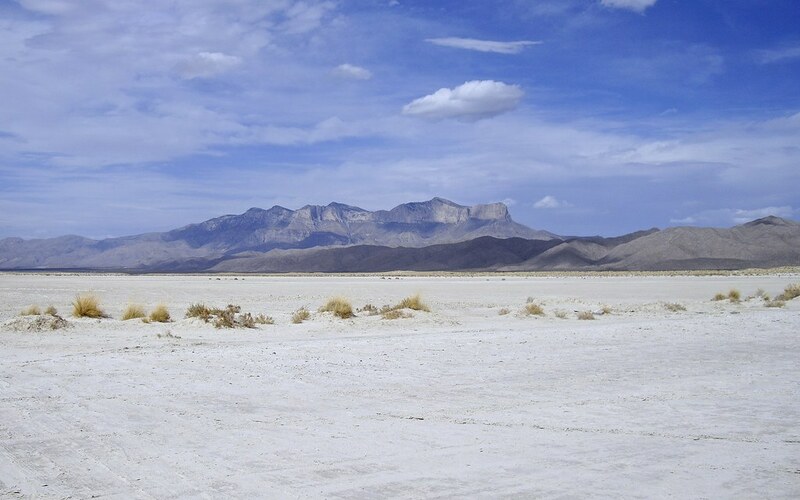 Those with 4-wheel drive and high-clearance vehicles may check out a key at the Pine Springs Visitor Center to visit isolated Williams Ranch, as well as the Salt Basin Dunes on the western flank of the park. Allow an hour to travel the 7.5 mile (12.1 Km) dirt gravel road from U.S. Highway 62/180 to Williams Ranch and Williams Road, which leads to the Salt Basin Dunes becomes extremely slippery and impassible after a rainstorm. The Dog Canyon, McKittrick Canyon and Salt Basin Dunes (Dell City) Visitor Contact Stations are open intermittently, as are historic Pratt Cabin and Ship on the Desert (in McKittrick Canyon), so call ahead to make sure they are open. Non-profit cooperating association Carlsbad Caverns Guadalupe Mountains Association operates a bookstore inside the Pine Springs Visitor Center where you may purchase books, post cards, posters, photos and films about the park, as well as walking sticks, hat pins, patches, nalgene water bottles, granola and energy bars, sunblock and ice.